Since the beginning of civilization, mankind has attempted to prophesize the future and practice different types of divination. One of the most common, yet oldest tools, for these practices, were the Tarot cards. In modern society, these cards are still very popular, with publishing companies devoted to their creation and thousands of books written to unravel their mysteries. -This is made up of 22 cards, also known as the trump cards. 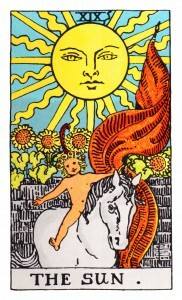 They begin with the card of The Fool, represented by the number 0, and end with the card of The World, represented by the number 22. The significance of these cards are that they depict the human soul on the path to self-enlightenment and fulfillment. -This is made up of four suits. 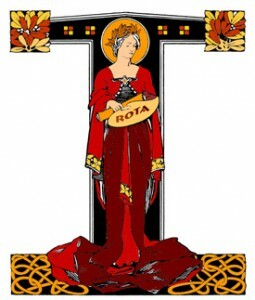 Each Tarot deck has its own spin on the suits but they are based off of the coins, the wands, the cups, and the swords. Each suit consists of ten cards, from the ace to number ten. This also represents a journey, with each number bringing us closer to our goal. 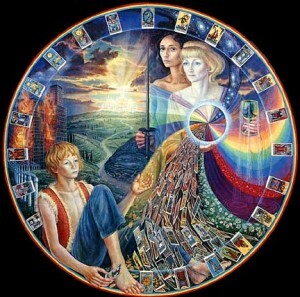 -Within each suit of the Minor Arcana are the Courts. Each deck has its own take on what these cards are, but they usually consist of the page, the knight, the queen, and the king. These cards all represent a person, whether ourselves or the people that come into our lives. To begin Tarot reading, you first need a deck. The Rider-Waite or Morgan Greer cards are the most popular for beginners because most cards are based on the design of these two. If this is a fresh deck, split the deck in half and then turn one half of it upside down. Shuffle the whole deck together three times. Then split the deck again, turn half of it upside down, and shuffle the whole deck three times again. Repeat this process as many times as you please. Next, you need to charge the deck. In your mind, ask the deck your question. Shuffle the deck as you concentrate on the question in mind. When you feel that you have shuffled sufficiently, pull the top three cards from the deck and lay them in from of you faced down. Turn them over, and view your answer. 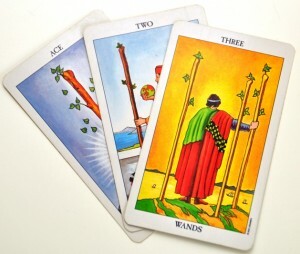 There are many different spreads for different situations, but the three card spread is the most basic. The instruction booklet that comes with your deck should be a basic guide to reading the cards. As a beginner, this will serve as a way to look up the meaning of each card until you learn to grasp the general meaning of each individual card. Once you begin to memorize them, you will be able to not only read the cards without the booklet, but you can also add your own definitions to each card by looking at the imagery. These are the basics of how to read Tarot, but mastering the cards is an ongoing process.